Today’s business has a variety of options in data storage. If someone says that everyone is moving towards cloud EPR, this is might not true. Because there are a lot of businesses who are not considering cloud as a secure option. Some of them ignore cloud because they don’t consider is an option best fits the organizational requirement. The cloud enterprises resource planning solution is getting more popular day by day for SMBs. But still, organizations prefer to have an old traditional on-premise ERP software. This article will state a clear difference among both ERP solutions. This clearance is going to support an organization in determining right decision making. Cloud ERP software is an approach to business transformation. It doesn’t require any complex installation. All information could be easily accessed with an availability of internet through some web portal or mobile application. Cloud-based ERP software solution usually provided through a subscription model named as Software as a Service (SaaS). These SaaS organizations usually charge subscription fees on the monthly or yearly basis. This fees according to features and the use of the software. On-premise software solutions are locally installed on a system. This software usually installed on organization’s own machines. The working criteria for such solution are entirely different. The organization needs to pay for software installation. Its organization’s own responsibility to purchase the device. They cost they’re paying to software vendor just doesn’t include hardware investment. This investment does only include implementation cost. In on-premise software, investment business needs to pay separately for different features. 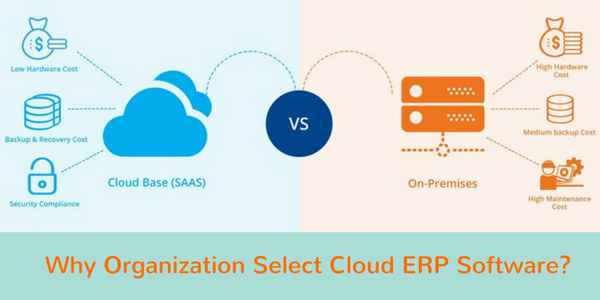 Why Organization Select Cloud ERP Software? Cloud solutions are considered as a long-term investment for any business. Business only has to pay for the services and features they are using. No need to pay for compatible hardware devices and others. Because it may easily access and use with an internet availability. They only need to pay subscription fees according to selected package. While an On-premise ERP Software might consider as more costly. You need to purchase supportive devices. You need to pay additionally for software updates, installation and other. This deployment may contain some additional or hidden charges. The organization needs to update their infrastructure accordingly that separately costs. Such software may have multi-year contracts due to higher software setup cost. While we talk about a cloud-based solution, it is easy to deploy for an organization. SaaS vendor provides a key to the organization for an instant access. They may just ensure internet availability and access to the system through that key. 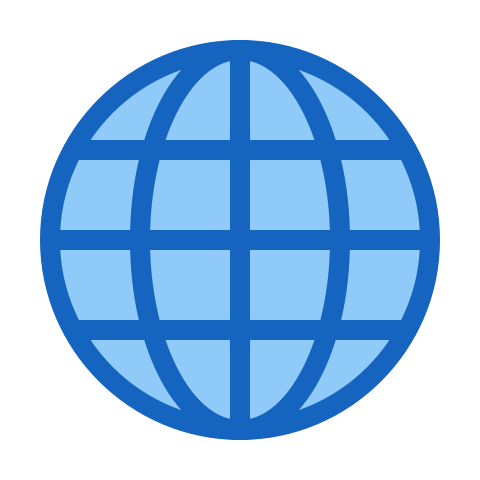 This web application could be easily accessed without any location restriction. On accessing the system organization needs to add customer details, inventory record and other information accordingly. No need to wait for longer software implementation and usage. On-premise software solution has entirely different implementation procedure. An organization needs to provide their own devices i.e. laptop, desktop machine and others. It takes time to complete the procedure of installation that software vendor does on your behalf. This installation is feature enriched. It takes more time than a cloud-based solution. A SaaS service provider has their data center in other locations. These data centers backup all client’s data, therefore, the chances of information lost has been minimized enough. Vendors are fully responsible for your data lost, misused and unauthorized access. All of your data & information is secure because none of the unauthorized people may access them from any source. The on-premise solution means all of your data is stored on your devices. An organization has their own data center or a server room available for data maintenance. This is not quite a secure solution for business and they also need to create a manual back plan. Technology is evolving rapidly. Therefore, they are a strong need to keep your system update on regular basis. A cloud software service provider constantly making efforts in improvement of their system features, security and other. They don’t disturb the end user again & again for updates but automatically do it from the backend. These updates don’t create any disturbance, data loss, and interruption for the user. Other ERP approach may not able support effectively at this point. They need to update software manually by engaging the complete system. These manual update could be some latest version of the software. Vendor installs them by downloading or might be using some hardware devices. Sometimes such updates could be a reason behind data loss. While you’ve selected a cloud-based solution for your business. You’ve reduced the cost to have special IT department for that software. It is vendor’s sole responsibility to maintain the service and minimize the chances of service failure. They take care of all issue from minor to large. It reduces the burden of IT department. In another case, you need to have IT, experts, to take care of your data center or server room. You need to have trained experts, to ensure the progress of your business with software support. In case of any negligence, they’re solely responsible for any situation occurred. 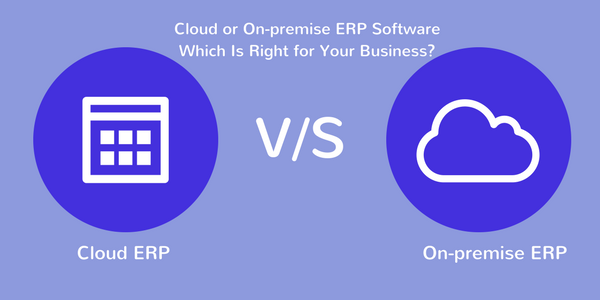 Why Organizations Still Prefer On-premise ERP Software? Undoubtedly cloud based ERP systems are offering a variety of advantages to a business. But till there are some organizations that don’t consider cloud as their 1st choice. 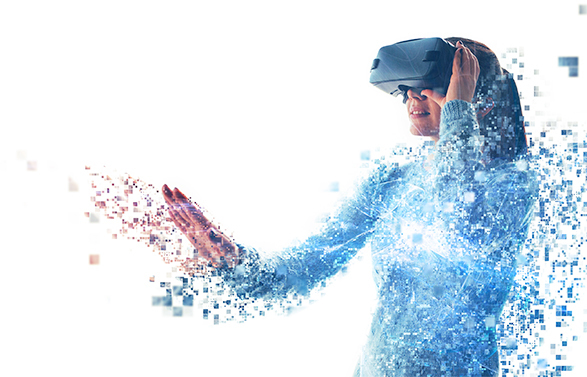 Cloud transformation has amazed people, but still, there is some fan of a traditional solution. They don’t consider the factors of security & connectivity. They found on-premise solutions, application and a complete infrastructure more comfortable than a cloud system or SaaS model. One of the major concern is security. They appreciate its standards, innovation, scalability, and flexibility. In case of cloud transformation, they need to share data with vendors. Cloud service provider is all responsible for data security. This is a significant reason, they’re not considering it right choice. Another reason choose on-premise over the cloud is, they are not making themselves ready for this big change. They need time to reconsider their decision. Cloud ERP software is not as simple to select and implement as it seems. A business needs to understand a variety of factors for a smooth & successful implementation. It might not seem to be a cheaper and simple but could be a perfect solution for your SMBs. It supports a business in organizing complete setup and boost its growth ratio.